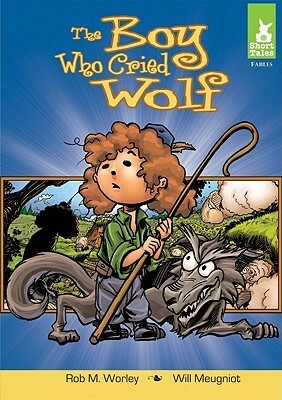 To continue with my Project Fairy Tale posts, I’m greeting you this morning with a review for another adaptation of the classic fable, The Boy Who Cried Wolf. This version shares the original tale’s title. 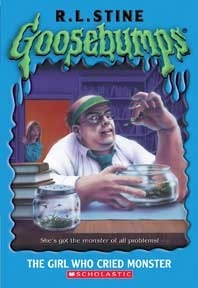 As you can see from the cover image above, the art style is rather stylistic–reminiscent of graphic novels or comics. Personally, for me, the cover was pretty off-putting. I don’t particularly care for the harsh line art and borderline neon coloring. However, once I dove into the book, I developed a greater appreciation for Will Meugniot’s illustrations. This version would be great for very young readers. There are probably eight total sentences in the entire book (maybe a bit hyperbolic, but in all seriousness, there is one sentence per page…) and the images are where the story really shines. Facial expressions, action, and consequences are all outlined very well in the images. 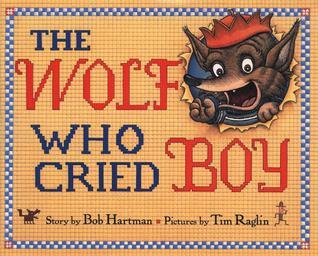 The summary is the exact same as the original tale: shepherd boy grows bored and cries, “Wolf!” to amuse himself. Villagers come running to help him to find there is no wolf. The boy does this another time and the villagers respond. 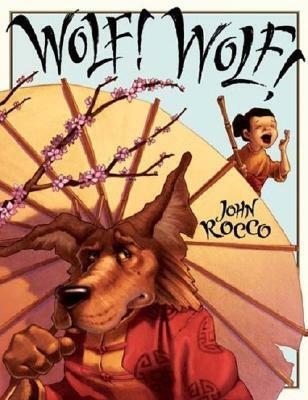 The third time, when a real wolf comes, the villagers don’t rush to help him. The moral? Liars are never believed, even when they are telling the truth. The three stories above were the retellings I was going to use for Project Fairy Tale, but I literally could not find them at any library within a reasonable distance. Seriously. *Sigh*. But, if you’re interested in more retellings, click on the pictures above to go to their Goodreads Page. To visit other blogs that are participating in Project Fairy Tale, check out The Cheap Reader’s Master Post here. I hope you all had a terrific weekend! I literally sat around, rested, and played Darksiders with my hubby all weekend. I also played Dungeons of Dredmor a good bit, too. I was itching to play some video games, so I indulged myself. I also started Lindsay Buroker’s latest installment in the Emperor’s Edge series: Beneath the Surface. It’s a short novel that takes place between book 5 and 6.